Business class flights to Montreal make a fantastic start to any luxury holiday. The team of travel specialists at Just Fly Business love to create and maintain long lasting relationships with you or your company. Talk to one of our personal travel consultants who can help with fantastic accommodation recommendations, car hire, rail tickets, transfers, and parking. Whether you are travelling on business or for leisure, your personal travel consultant makes business flights to Montreal hassle-free. With our superior service, we can find you the best value business and first class flights to Montreal available. The old centre of the city, complete with cobblestones on Rue St Paul, Vieux Montreal retains its old world charm. With horse drawn carriages passing street performers, it is the perfect introduction into French Canadian culture. 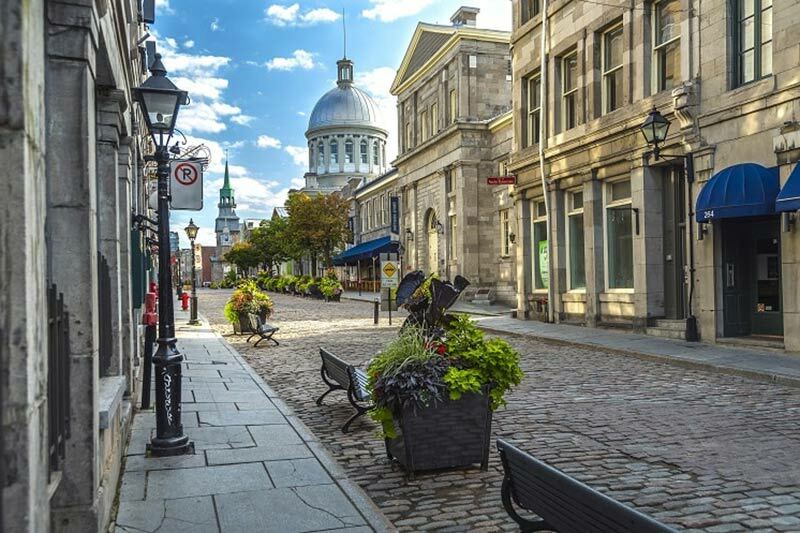 Along with famous landmarks such as the Basilique Notre-Dame, Hotel de Ville, and Marche Bonsecours, the winding streets are teeming with cafes and boutique stores to enjoy on a summer afternoon stroll. At 761 feet, Parc du Mont-Royal is the city’s largest peak and provides spectacular views of the skyline and the St Lawrence River below. Criss-crossed with walking paths, some of which can be quite steep, the park also contains spectacular architecture and sculptures. Directly adjacent to Mont-Royal, St Joseph’s Oratory stands proudly with its copper dome stretching into the sky. 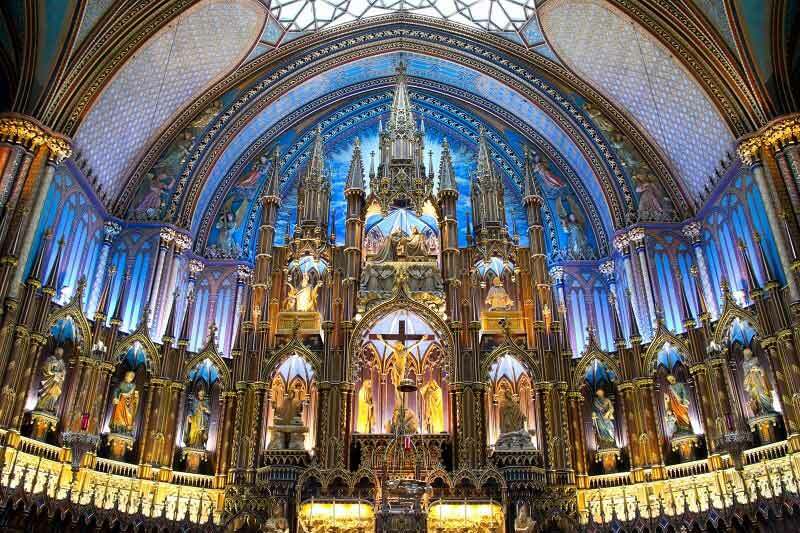 Dedicated to the patron saint of Canada, the interior is decorated with intricate carved murals lit by thousands of votive candles. Designed in 1824, the Basilique Notre-Dame de Montreal is a stunning example of Gothic Revival architecture in Old Montreal. Accommodating 4,000 worshippers, this grand church is decorated with intricate statues in a colourful interior, while quiet chapels allow moments of respite. Insider’s Tip: The church offers tours of this fantastic basilica for a small charge that are well worth the time and expense! Along the St Lawrence River lie a number of structures and attractions that were built for the 1967 World Fair Expo. Dominating the shoreline on the city side is Habitat 67, a unique block of apartments set at irregular heights creating the impression of building blocks. This revolutionary design consisting of 146 units made from 354 identical blocks is widely considered an architectural landmark of both the city and the country. Across the river from Habitat 67 is Ile Sainte Helene, an island where the north side is dedicated to La Ronde, an amusement park unique for its close location to the city centre. On the south side of the island is the Montreal Biosphere, another structure built for the World Fair. Now a museum dedicated to the protection and conservation of the environment, this attraction provides an excellent insight into the country’s stance on climate change. The city’s ice hockey team, The Canadiens, host games at the Bell Centre during the regular season of October to April. If you are lucky enough to be in the city while the local team is in the Stanley Cup playoffs (April to June) then a match is a must do on any Montreal itinerary. The atmosphere is truly electric! An enviable location in Old Montreal, exemplary service and facilities, and 14 dedicated meeting spaces catering for all sizes, The Ritz-Carlton is the perfect option for your next business function. 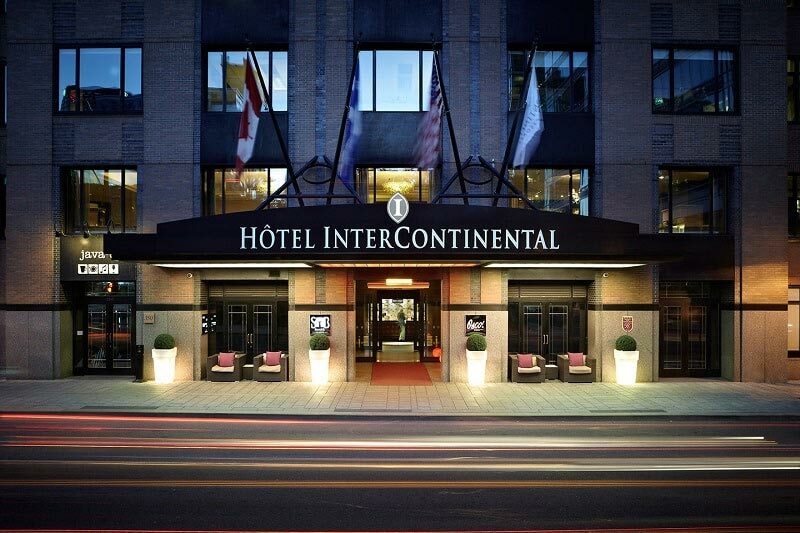 19 meeting spaces backed by this international brand’s service and facilities, the InterContinental Montreal ticks all the boxes for businesses big and small. 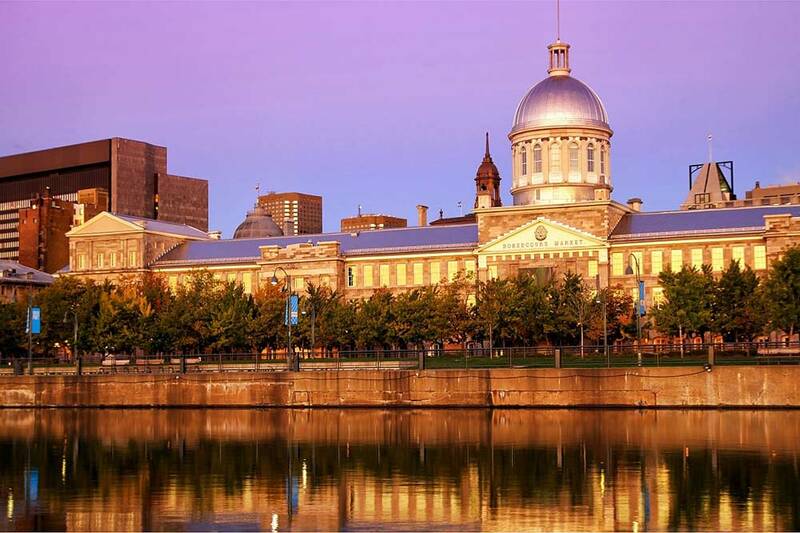 Montreal offers visitors many sights on its own, but can also be used as a launching pad for a Canadian or New England holiday. The cities of Ottawa, Quebec City, and Toronto are all easily accessible by rail, road, and air, as well as the ski resort of Mont-Tremblant. Niagara Falls in upstate New York is a highlight of self-drive holidays to Montreal, as well as the opportunity to visit New England during Autumn for the Fall colours in Vermont. Montreal would also provide a unique experience at the end of an American holiday taking in the cities of New York, Washington D.C., or Boston.